Fantastic Introductory Offer for Stonehouse! 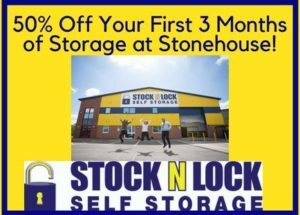 We are offering 50% off your first 3 months of storage at our Stonehouse Store! For more information please call 01453 705645 or visit www.stocknlock.co.uk!